Apple’s strategy is clear: make one line of things that are laptops (running OS X), make another line of things that are touch-based (running iOS). That strategy has served them – and musicians and other creatives – well. You can certainly have a lot of fun with a fairly inexpensive iPad full of apps, and the MacBook line has earned its place as the music laptop of choice. But that’s still left some creative types in the gap between the two. That is, it did, until today. What if you want touch, but you don’t want to give up serious desktop apps? What about developers, who want to make those apps but simply can’t make money on them selling them as $10 apps? What if you want an ultra-mobile laptop, but you also want a powerful GPU (for instance, if you’re doing visual performance)? It has the power of a laptop. 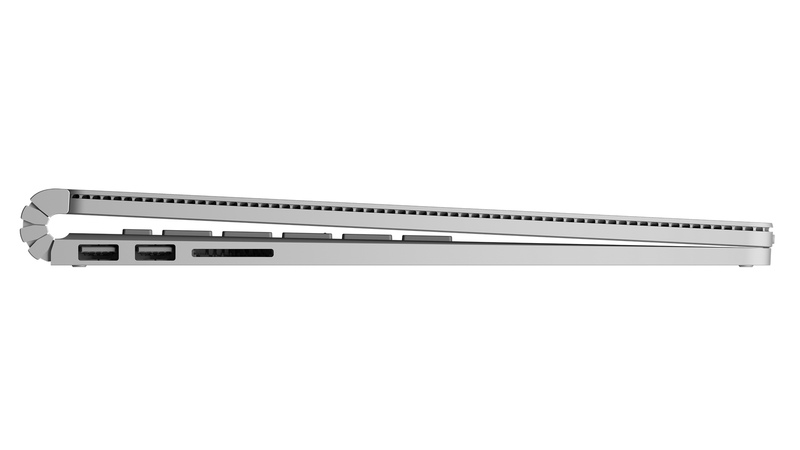 Two USB 3.0 ports, i5/i7 processors. And it just runs Windows. (Ableton, cough. Yep.) If that’s not enough for you, a dock adds four USB 3.0 ports, gigabit Ethernet, and dual high-definition video ports (mini DisplayPort). But it’s an enormous tablet. 13.5″ tablet to be precise. crucially, it operates both when docked with the machine (giving you all that laptop functionality) or undocked (if you want to port it around a bit). The hinge folds all the way backward. 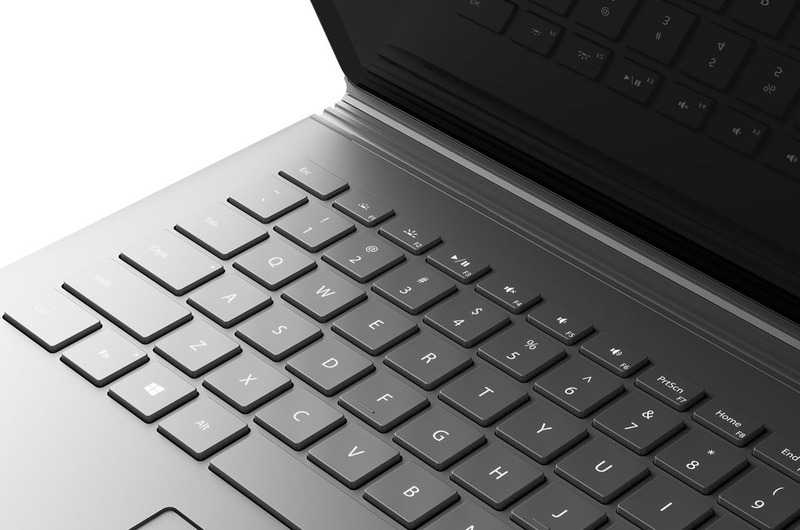 This is crucial: you can use it flat, ideal for live performance and focusing on music, while it’s still connected to all the laptop-y bits in the base. It’s not the first laptop to do that, but a better-designed hinge and more serious, price-competitive specs make it arguably the first to be genuinely appealing in this mode. It’s big. Over 13″ – so it’s bigger than the iPad Pro. It isn’t cheap – but it’s probably the only machine you need. US$1499 starting price means this is more expensive than the iPad Pro, even once you figure in Apple’s pricey keyboard and pen accessories and more internal memory. 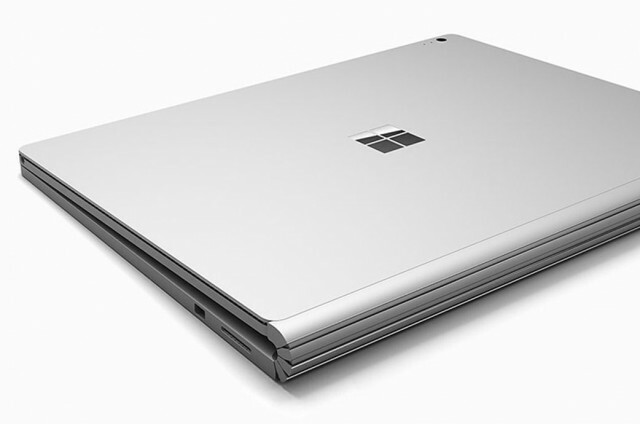 On the other hand, it’s competitive with other laptops, which is the whole point. And it means you don’t have to keep buying a separate tablet. 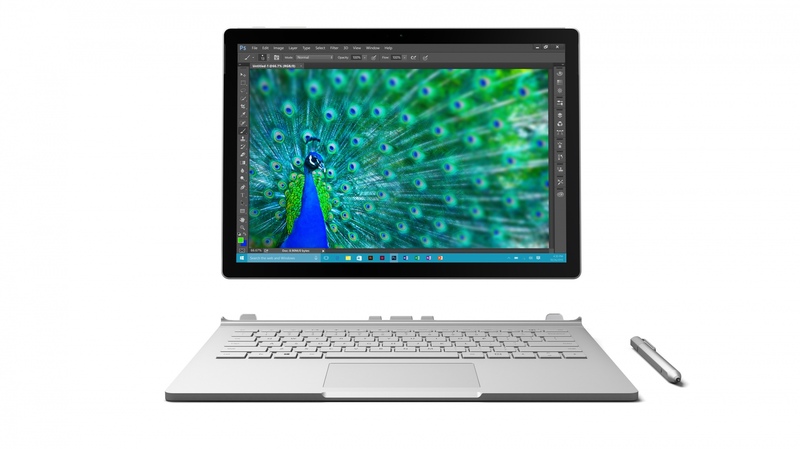 Higher-end models are pricey – even 256GB internal memory means you’re paying $1699. But all models have at least 128GB storage and an i5, and even the GPU model starts at a not-astronomical $1899. 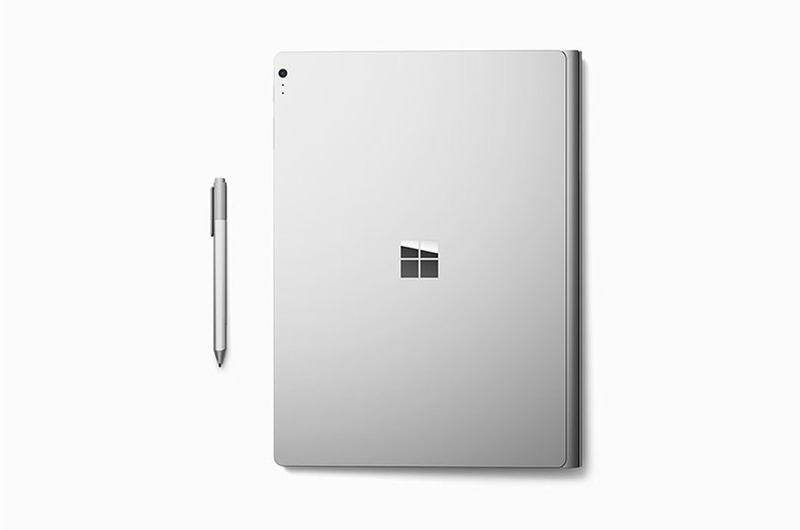 Oh, yeah, and this is above and beyond a Surface Pro 4 that’s more competitive with the iPad Pro – but I think the Surface Book is the real news. I’ll be honest: my gut reaction is that I’d at least consider this as a next machine. You pay extra for the multi-functional capability. You can still build a much cheaper desktop PC, or choose a laptop with more I/O or a lower price or a bigger display (or all of these). And if you just want a little touch, you can always add a tablet (like, ahem, the iPad) to whatever you’ve got. But for anyone in the ‘pro tablet’ market previously described, this is the first model that really looks like a contender. Look, Microsoft must even recognize that we use this for music. They’re showing music images in their pics. Except… uh, why is it sitting next to CDJs (Windows happily runs Serato and Traktor), why is set up just for clip launching, and why is the controller sitting sideways?! Ha, and I just noticed who that is… that appears to be musician Thavius Beck. And he can use a controller sideways because he’s probably better at it than most of us. This isn’t necessarily bad news for anyone happily making iOS apps – not in the slightest. I suspect that ecosystem will remain entirely intact. The issue is, I’m not yet convinced that the pricey iPad Pro will significantly expand that same market. The news here is, this could create a market for touch-savvy desktop apps, especially for music making. The key is, will developers embrace the touch design. 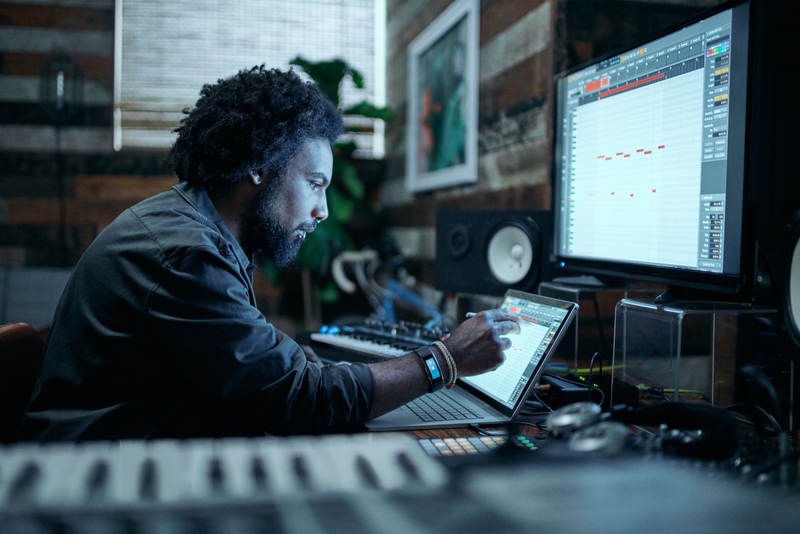 Software like FL Studio and Cakewalk SONAR already ostensibly have touch compatibility, and tools like Reason and Ableton Live are naturals, in theory. In practice, though, we need to see nearly all of these applications have user experiences that are thought out for touch. My guess is, some smaller, independent developers might make touch controllers that are designed to sit on the Windows desktop, rather than use the “satellite app” model on iOS. And all it takes for a single developer to really go deep in this is hardware they actually want to develop on. 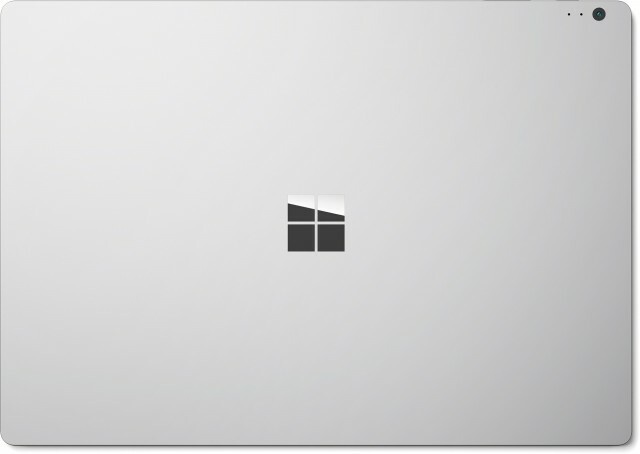 The Surface Book could provide that. Oh, and Bitwig. More on that separately. I will certainly try to get one for a review.